You may have seen car tyre labels and recognised they look similar to the coloured information labels on consumer white goods and new cars, but what do they really mean and how do they benefit you? It is a regulation that was brought in by the EU in 2012 to offer more information to consumers on tyre safety and the tyre’s impact on the environment. The labels comprise three pictures which each denote three separate things - fuel economy, wet grip and noise. They are effectively a rating system that lets you know how efficient your tyres are in certain areas, but what repercussions do these different efficiencies have on you, your car and your wallet? The difference between the best and worst rating can be 7.5%. 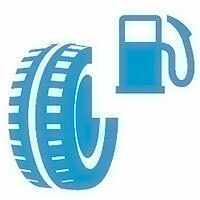 As tyres account for 20% of a car’s overall fuel consumption, choosing wisely here can give significant savings. The more miles you do, the more money a fuel-efficient tyre will save. The difference between each letter is around 2.5 metres when braking from 50mph – that’s well over half a car-length. 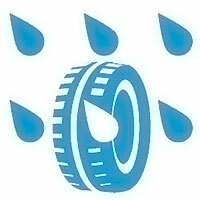 An ‘A’ rated tyre will come to a stop 18 metres before an ‘F’ rated tyre in the wet. 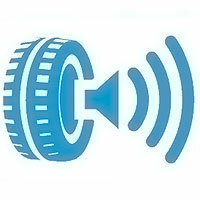 It is an external noise rating: one black bar means the tyre is 3db or more below future EU legislation. Two black bars means the tyre meets current and future legislation. Three bars means the tyre meets current legislation – but will fail to meet future legislation (although you will still be able to use it if you’ve already bought it). We know this might all sound a little confusing, so if you want to find out more, contact us today!